Hello wine lovers and happy wine Wednesday! I hope you enjoyed your Thanksgiving holiday and were surrounded by family and friends! Speaking of friends – I wanted to extend a very Happy Birthday wish to one of my dearest friends on the planet, Tracy Loree…I hope it is a wonderful year for you and your family my dear! 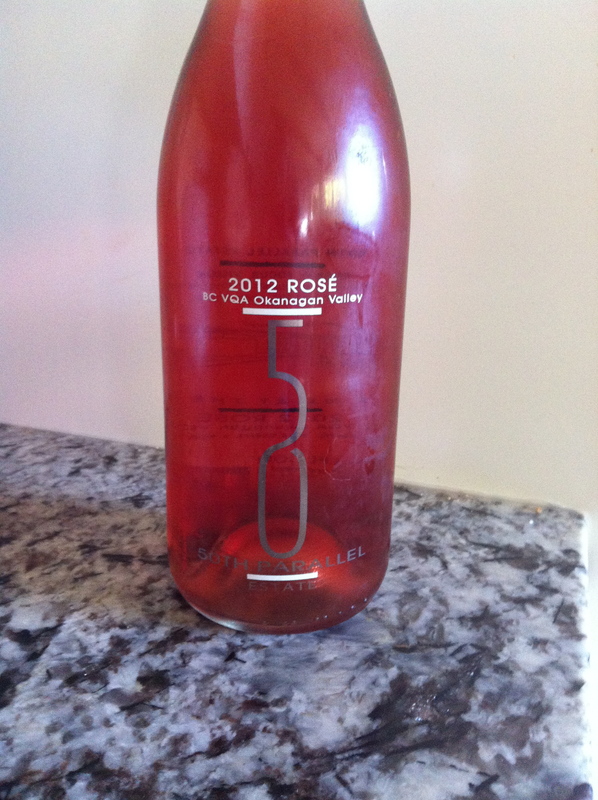 This weeks post is on 50th Parallel’s Rosé 2012. 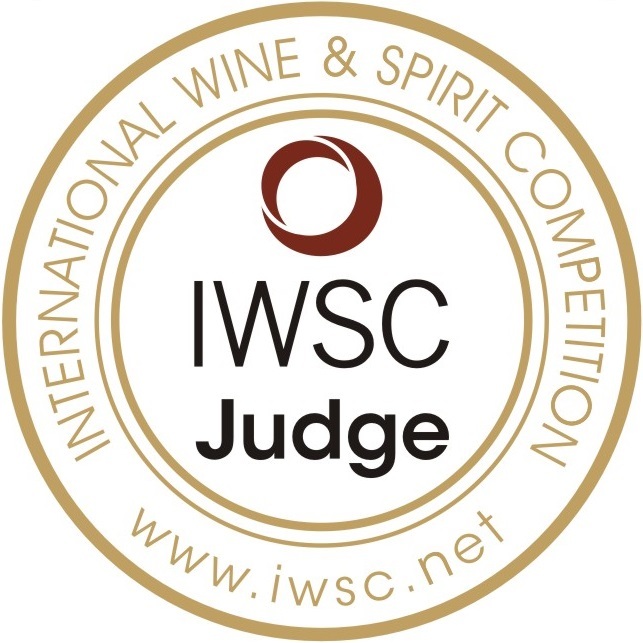 I was given this and a bottle of their Pinot Gris to review when I was up in the Okanagan at the wine festival…Thank you! 50th Parallel’s 2012 Rosé is medium bright salmon in colour with a big bouquet of red berry aromas and a strong cranberry overtone. In the glass, this rosé is medium plus in acidity with a hint of tannin and flavours of strawberry, raspberry and again a nice cranberry flavour. It is medium minus in body and medium in alcohol. The flavour intensity is a solid medium with a medium finish. Over all, this is a nice rosé that is quite refreshing and easy to drink. I really enjoyed the cranberry and tart flavour of this wine and would not hesitate to purchase it. Unfortunately, it is sold out at the winery and I am told that there are only a few bottles available in Alberta! So – if you are heading that way – pick up a bottle. And, keep your eyes open for it next spring summer when the 2013 will be on the shelves. It sold for $17 at the winery and I don’t think this is an unfair price. 50th Parallel is a relative newcomer to the B.C. Okanagan wine scene and I have a feeling that they are going to be capable of great things as Grant Stanley, formerly with Quails’ Gate Estate Winery, is 50th Parallel’s winemaker. I look forward to watching 50th Parallel meet their goals of being one of the top producers of Pinot Noir. Very cool and I am cheering you on from the sidelines! Thank you for the acknowledgement Chris! Like wine, we just keep getting better with age, right? Lots of love to you, my dear friend! As God is my judge, I just opened my phone to send you a reminder that today is blog day! It is 9:30 in San Antonio and we have just returned from a reception where I spent a lot of time talking to Allen Tozer of the Wine Festival Society about your blog. He thinks you should attend the winter festival in January at Sun Peaks. I am certain that he will at least comp you and maybe more. I will send you his contact info tomorrow.